Most middle eastern women prefer this kind of long tunics, which they wear over full t-shirts. Here it is fine because we have air conditioning everywhere. but in Chennai, it is too hot to wear this kind of layered clothing, I suppose. I can wear it as a sleeveless top there. 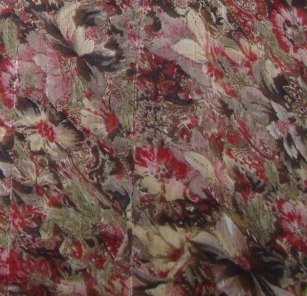 It is easier to maintain with the synthetic fabric . The tunic fabric is synthetic material. I wanted to design a sleeveless tunic to be worn over T-shirts. I found this rimjim thread from a shop in India, the texture is not smooth.Just like metallic yarns are spun over cotton thread, this metallic/ wool like/paperlike yarn is spun over cotton yarn.This makes it difficult to thread it on to a crewel needle,pulling it in and out of fabric . It can be threaded through a tapestry needle. I thought this thread can be couched on with a cotton skein. 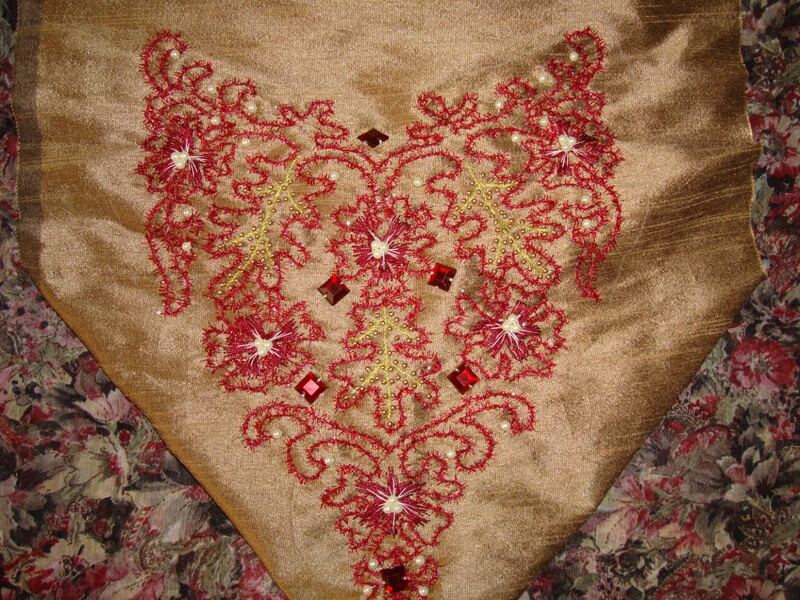 I did the embroidery on antique golden colour fabric[synthetic]. 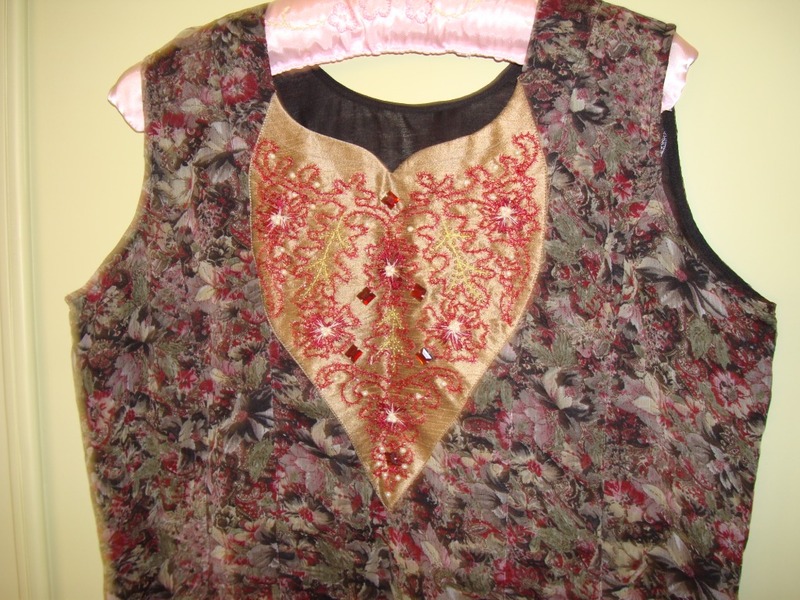 The pattern was taken from one of the antique patterns available here. Instead of couching rimjim thread, I did small straight stitches through which the rimjim can pass through, easier way for me. 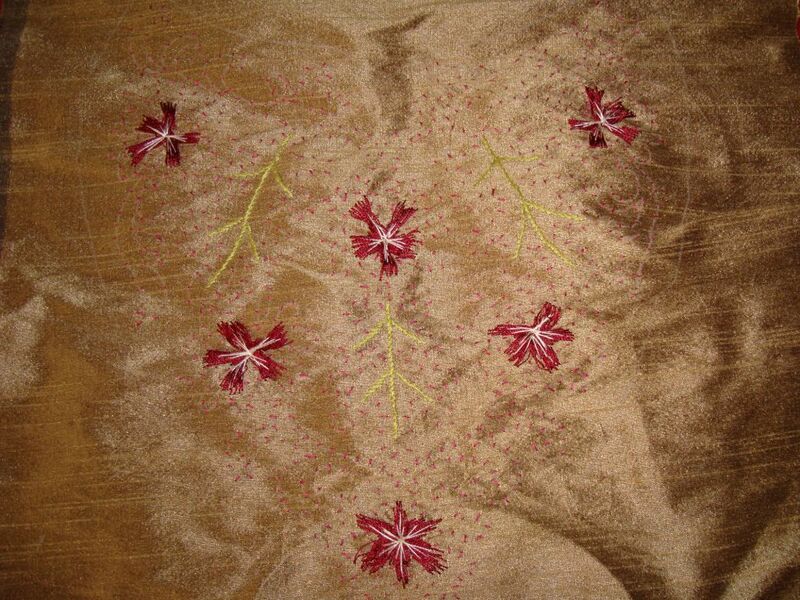 The other stitches were satin and straight stitches for florals. 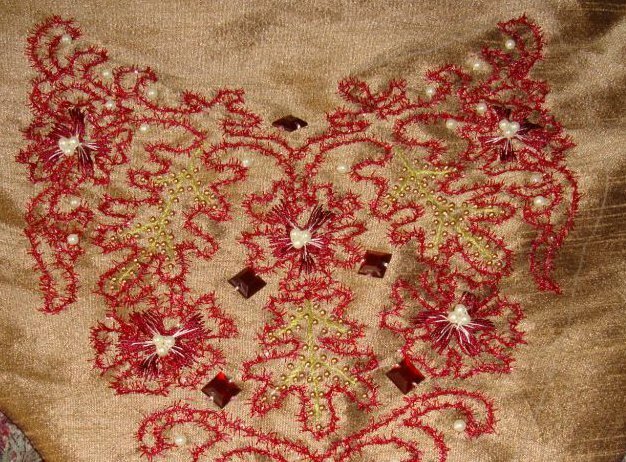 The yoke with the couched embroidery and stones. The sewn tunic with the yoke on my next post.